Members of Women of the World Seattle are female philanthropists who care deeply about global issues. This is a learning network and not a giving circle, with the intention of building community and leveraging the expertise and knowledge of the 100+ global non-profits who are also members of Global Washington. The Seattle International Foundation started an annual breakfast in 2010 called Women of the World as a celebration of Washington state’s role in global development. In 2018, Seattle International Foundation transitioned the breakfast event over to Global Washington to continue the tradition and enhance the purpose. On International Women’s Day, March 8, 2019, Global Washington launched the Women of the World learning network of female philanthropists as an expansion of the annual Women of the World breakfast to celebrate, inspire, and inform philanthropy for global issues. 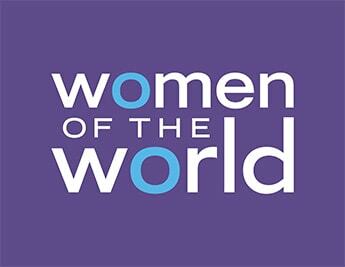 Members of Women of the World will be invited to educational and networking opportunities at least quarterly, including topical roundtable discussions, tours of global non-profits, film screenings, and peer to peer discussions about global philanthropy. Members can also help shape the annual Women of the World breakfast and recommend topics of discussion. Annual dues are inclusive of a corporate match and may be integrated into an employee engagement program. Click here to apply for Women of the World membership.